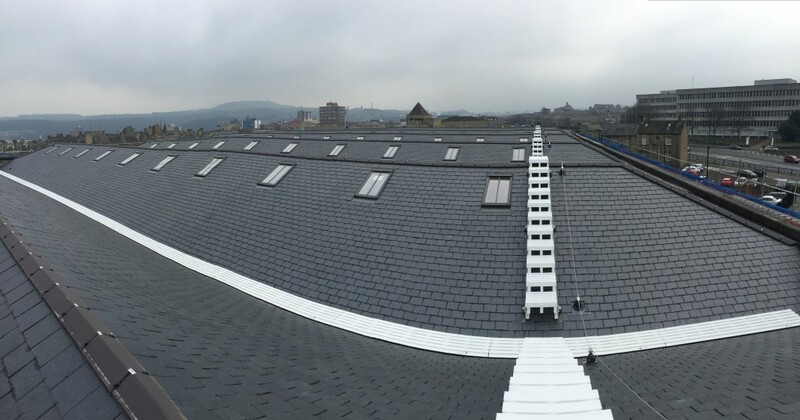 St Georges Mill in Huddersfield is a 5 storey unit with a roof area of approximately 6000m². 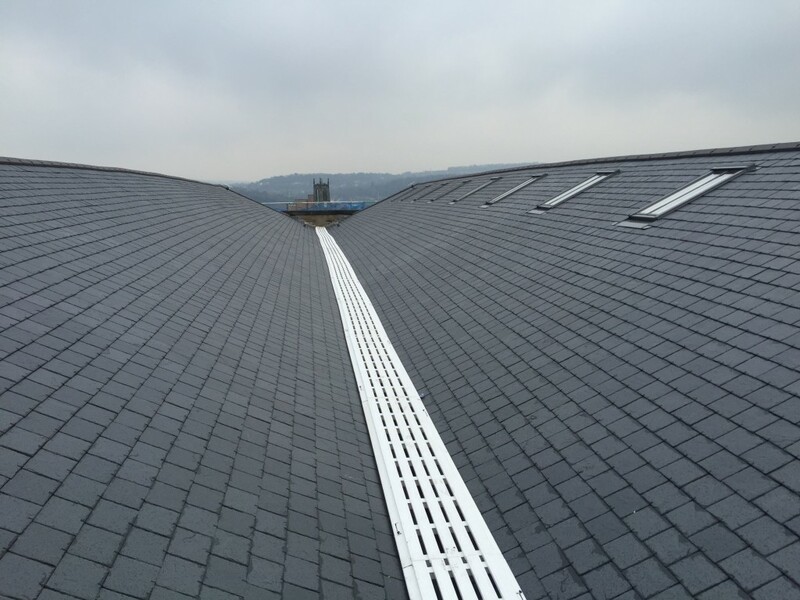 The existing covering was Bitumen Coated Natural Slates with a series of Georgian Wire Cast Rooflights. 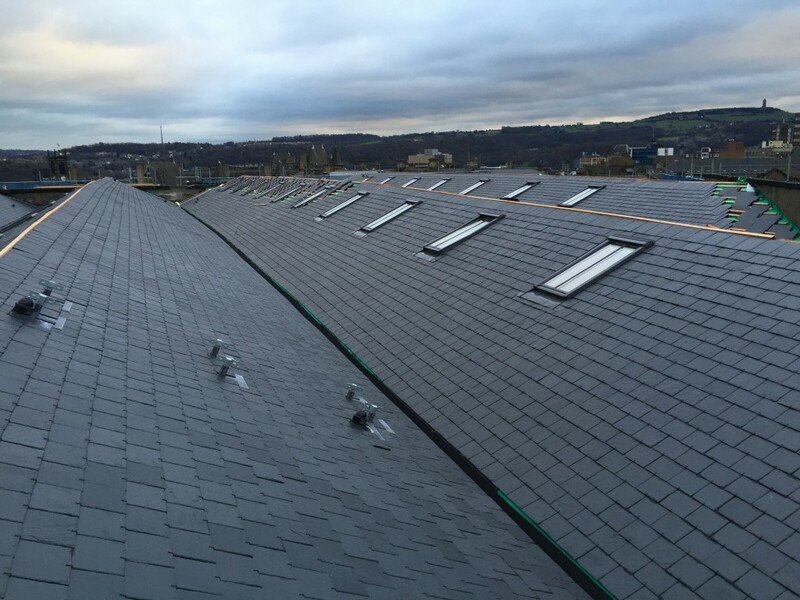 Jennings were appointed main contractor and in liaison with the Architects agreed the following new specification. 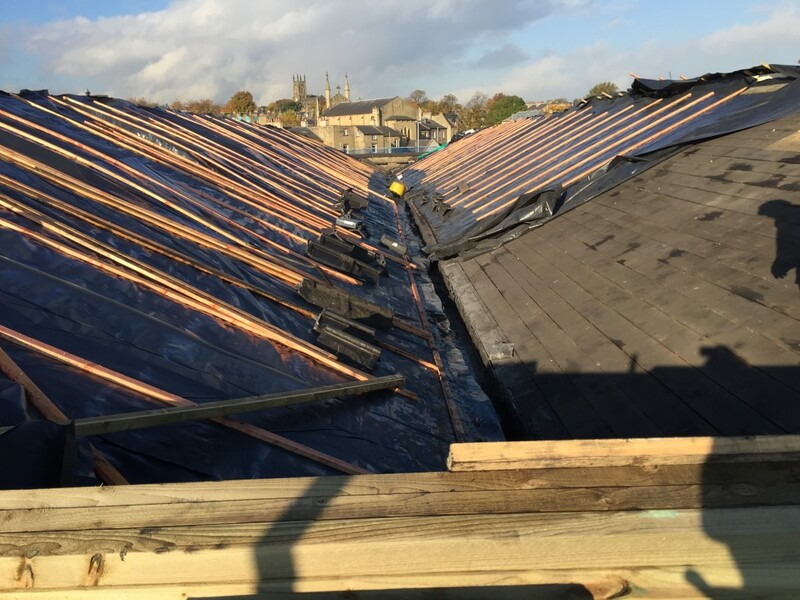 Existing slates were stripped and removed from site. 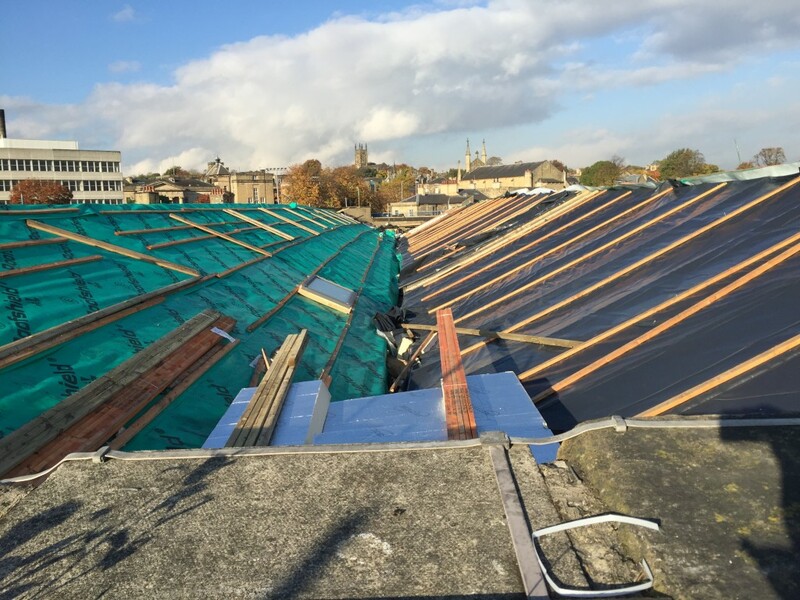 Repairs were carried out to the existing timber sarking board and rooflight openings formed to accommodate new Velux Heritage Rooflights. 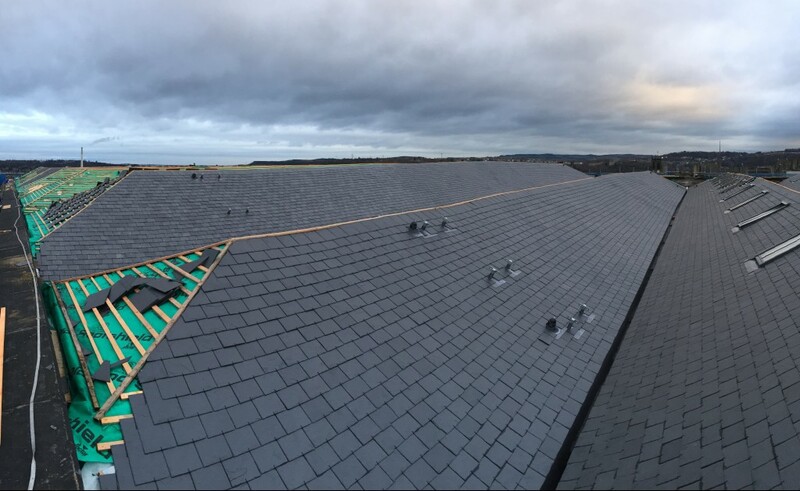 The roof area was covered with 120mm Recticel Insulation, 50 x 50mm Battens and SIGA 625 500 x 250 roof slates hook fixed at 115mm gauge to suit the pitch of the roof. 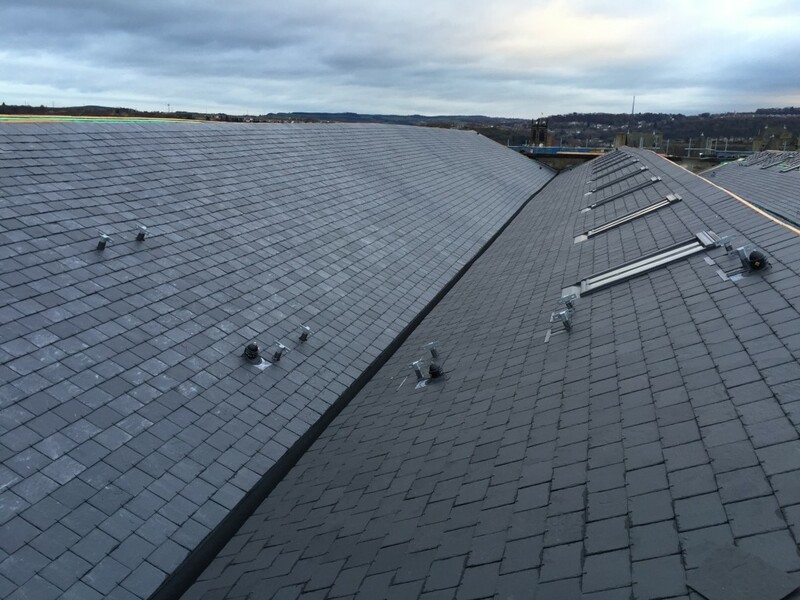 Gutters were lined with plywood boarding insulation and coated with SIG Hydrostop EU AH 25 System. All ridges and hips were dry fixed. 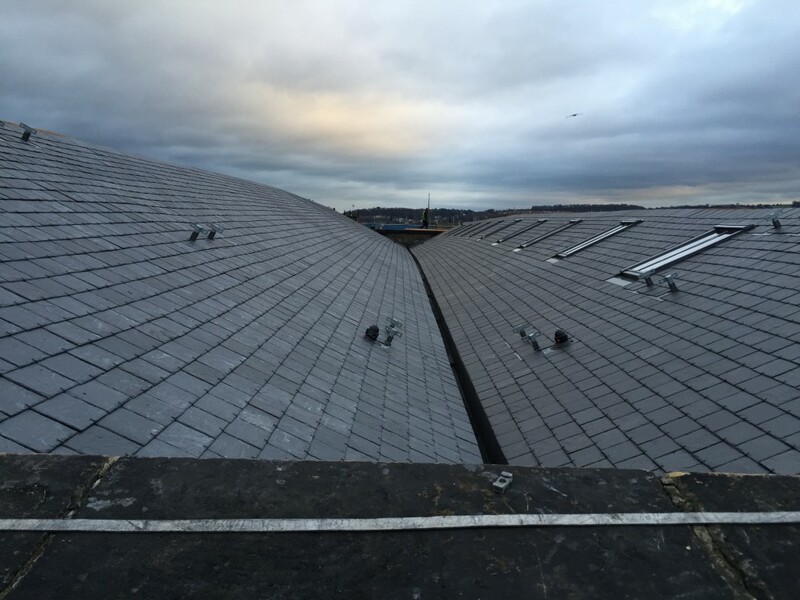 The project commenced in August 2015 and will be complete by February 2016 including additional structural repairs.